Thousands of people have hit the high street for the traditional Boxing Day sales, but analysts said bargain-hunters favoured online orders. Footfall in streets across the country was lower than expected, according to monitoring service Springboard, but many still queued from 6am to get into shopping centres as soon as they opened. 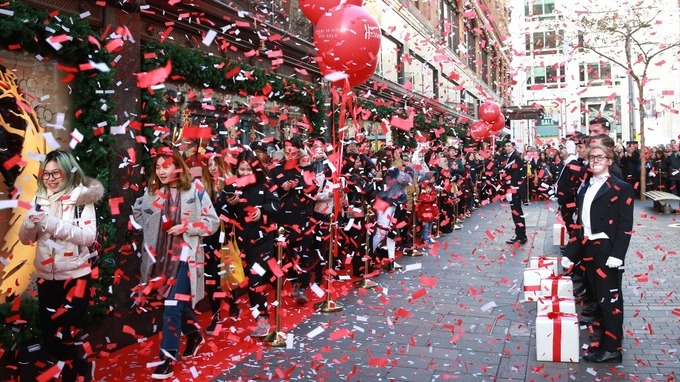 In central London, shoppers flocked to Oxford Street to grab a bargain from stores like Next and Selfridges. Queues formed inside and outside department store as people waited to get items with up to 70 percent off. 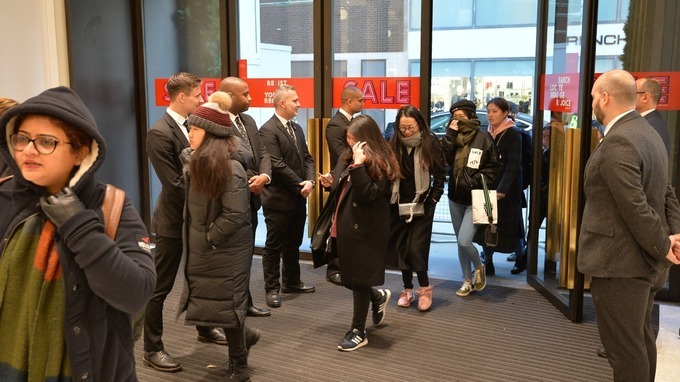 After three hours of trading from 9am, Selfridges said it had registered £4 million in sales at its London, Birmingham and Manchester stores and online, and was expecting a record-breaking day. The first item sold was an Alexander McQueen bag for £695, down from £1,390, it said. Barclaycard predicted that around one in three Britons would go to the festive sales, up from 23% last year, when consumer appetite for the post-Christmas sales period dwindled after an extended period of discounting that began well before November’s Black Friday. Barclaycard’s poll found months of “feeling the squeeze” has resulted in many consumers looking forward to the sales to ease their budgets. But overall data still showed shopping online ordering was a more popular alternative. Monitoring company Springboard said footfall was down 4 percent on the hours until noon compared with last year, while they predicted a rise of more than 6.2 percent in online sales on Boxing Day last year. Meanwhile, the number of people flocking to the high street were said to be down 4.7 percent over the same period and 4.3 percent lower at shopping centres, while retail parks saw a drop of 2.1 percent, Springboard said.